Getting nervous every time before you look at your face in the mirror? Is the redness and blushing in your face constantly ruining your visage no matter how skilled you are with make-up? Facial redness can occur for various reasons, but generally it is caused by facial telangiectasias – broken capillaries and spider veins in your face. Facial redness is usually not a major health issue, but rather a cosmetic concern. A little bit of blushing every now and then can be cute, but who wants to permanently look like a tomato? Not to mention the fact that in some cases facial redness may be a symptom of a more serious underlying condition that requires a physician’s attention. Facial telangiectasias – broken capillaries and facial spider veins are groups of small blood vessels, reddish or bluish in color, which can be seen very close to the surface of the skin. The exact cause of spider veins is not perfectly clear, but some common aspects, such as heredity, pregnancy, aging, and sun damage, are huge contributing factors. The most affected areas on the face are around the nose, cheeks and chin, and in whites of the eyes. Sometimes, acquired telangiectasias can be associated with other factors than venous abnormalities, the most frequent one being Acne Rosacea. Is this common?? Of course. Facial telangiectasias are a common problem of men and women around the globe. Estimates say that at least 20 – 25 million Americans suffer from some kind of venous disease. This makes problems with veins one of the most common chronic conditions in North America – and unfortunately, facial spider veins are a big part of it! Aging – according to various reports, the average age of onset for facial telangiectasias is 38 years of age. Yes, ladies, 38! Facial spider veins are no longer a problem of our grandmothers, as many might think. Gender – women are more commonly affected than men by facial telangiectasias (go figure, as if anything in life could be easier for us than for men). Genetics – as with everything else health related, genetics plays an important part. If facial redness runs in your family, chances are sooner or later you will be affected too. Pregnancy – the soon-to-be offspring always plays havoc with the mother’s body. More facial spider veins usually occur with additional pregnancies. Sun exposure – prolonged sun exposure can cause spider veins on the cheeks and nose. Alcohol use – facial veins become enlarged with every glass of wine you have. Sometimes these veins or capillaries can break, causing facial redness. Hormonal therapy – taking birth control pills, as well as other hormonal changes during puberty, pregnancy or menopause, can contribute to the formation of facial spider veins. As you can see, ordinary day-to-day activities such as catching a tan on the beach or being on birth control can be the primary cause of the formation of facial telangiectasias and consequent facial redness. These diseases and conditions are not just your routine cosmetic issue, but a potential major risk to your health. That’s why it is always advisable to see a specialist about facial spider veins, to make sure that they are not a secondary symptom of a serious underlying condition. Will facial redness get worse over time? Unfortunately, yes. No matter what caused facial telangiectasias initially, once they are on your face, they won’t go away on their own and they do have a tendency to get worse over time. The skin on your face is very sensitive, and with each year of age it will get less and less elastic, making the potential results of any treatment harder to get. So don’t hesitate and get your treatment as soon as possible! How do I treat facial redness? 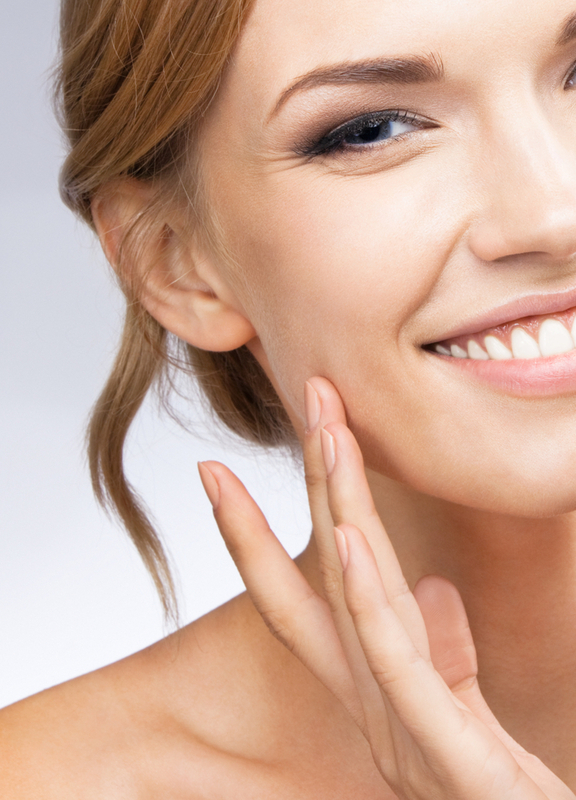 Thanks to advanced technologies, treating facial redness has become a walk in the park. Modern minimally invasive procedures don’t require surgery and have zero to little downtime. Skilled specialists will treat the facial telangiectasia in their office in an outpatient setting. You’ll be back at work on the same day, with relatively little pain or discomfort. Laser Therapy – this minimally invasive procedure is the most effective treatment for facial spider veins, and especially broken capillaries. It’s easy, fast, and relatively pain-free. Performed in outpatient setting, with no general anesthesia, this is a perfect treatment for your face – it is extremely gentle and thus suitable for the subtle parts of your body! Sclerotherapy – this minimally invasive procedure involves injecting salt water or a chemical solution into the vein, which then hardens and disappears. Outpatient setting, no anesthesia, low cost, and almost zero downtime and risks make Sclerotherapy excellent solution for facial spider veins that might be a little bit larger than just broken capillaries. VeinWave – this is a revolutionary advanced procedure to treat spider veins anywhere on your body. Its biggest advantage is that Veinwave can easily treat even the tiniest veins that cannot be treated by typical techniques like Sclerotherapy or Laser Therapy. The best thing to start is to find a medical specialist – dermatologist or phlebologist – who will perform a physical examination, using various technological devices. Try to find a medical clinic or group that specializes in vein-related conditions and treatments, with lots of experience and latest technology. Don’t hesitate to schedule several appointments to ensure the best results. Remember, it’s better to be safe than sorry with any procedure performed on your body, and especially your face! I would just call and schedule an appointment to get any specific answers. All these offices are state-of-the-art facilities and the staff is very friendly to their patients.